The Shockwatch Clips are impact sensors designed for mounting directly onto the product itself. They allow you to monitor your product through every phase of its manufacturing cycle; from assembly line to shipping to the final customer. The Shockwatch Clips can be customized to fit your specifications, providing damage reduction whenever and wherever your products are handled. These highly precise sensors are affected only by the specific impacts for which they were designed. The Shockwatch Clips are small and economical enough to justify adoption in a variety of manufacturing, testing, and field monitoring applications. Use the Shockwatch Clip to provide the ability to conduct incoming and outgoing quality assurance inspections to produce zero defect shipping. Used as an education tool, you can control assembly and distribution personnel, thereby improving handling during the manufacturing process. 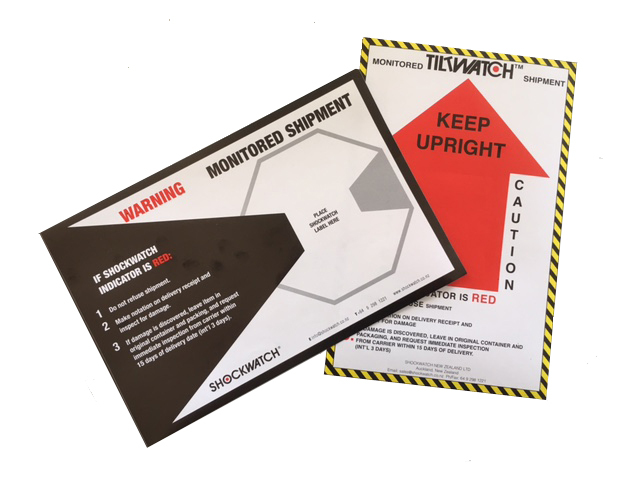 The Shockwatch Clip can also be used to aid in assuring product integrity. By monitoring your products in the hands of the end user, the Clip can be used to prevent warranty abuse, resulting in reduced services calls. Used countless times in the evaluation of packaging, each Shockwatch Clip has been precisely tested to work under many different handling conditions. The Clip can be an invaluable tool in comparing foams and external packaging in comparison to elaborate and costly laboratory procedures. 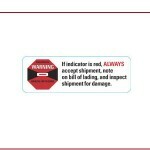 In effect, the Shockwatch Clip can actually reduce packaging costs.